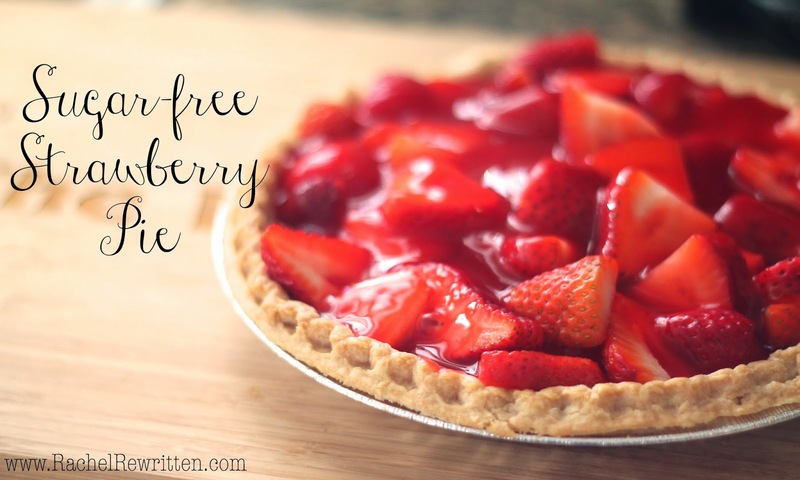 Sugar-free Strawberry Pie + a Canon Rebel T3i Giveaway! Y'all, I have a treat for you today! 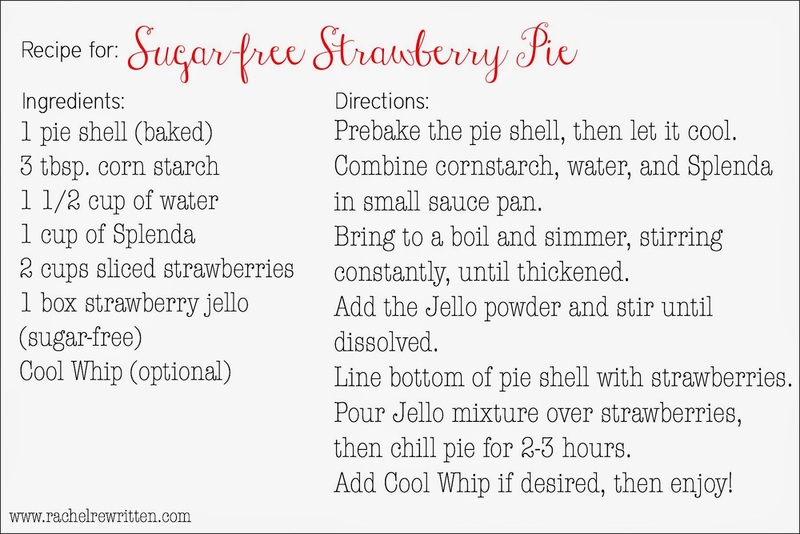 Not only is this dessert fresh and summer-friendly, it's also lightened up and sugar-free. My husband has diabetes and I'm trying to be healthier, so it's been an ongoing process for me to find desserts that can be Splenda-fied. I have such a sweet tooth, and LOVE to bake, so I'm always trying to find things I can make that he can enjoy. I'll just tell you, we've had quite a few flops in the past, but I made this one over the weekend, and it was delicious! Grab some strawberries from your local farmer's market, then a few ingredients from the grocery store, and you're all set! I was surprised at how easy this was to make. And for an extra little treat to make your day a little brighter--a chance to win a Canon Rebel T3i! How exciting is that? The wonderful Jana from Life Could Be a Dream is hosting this awesome giveaway with me and some other fantastic bloggers! Just use this Rofflecopter below to enter.